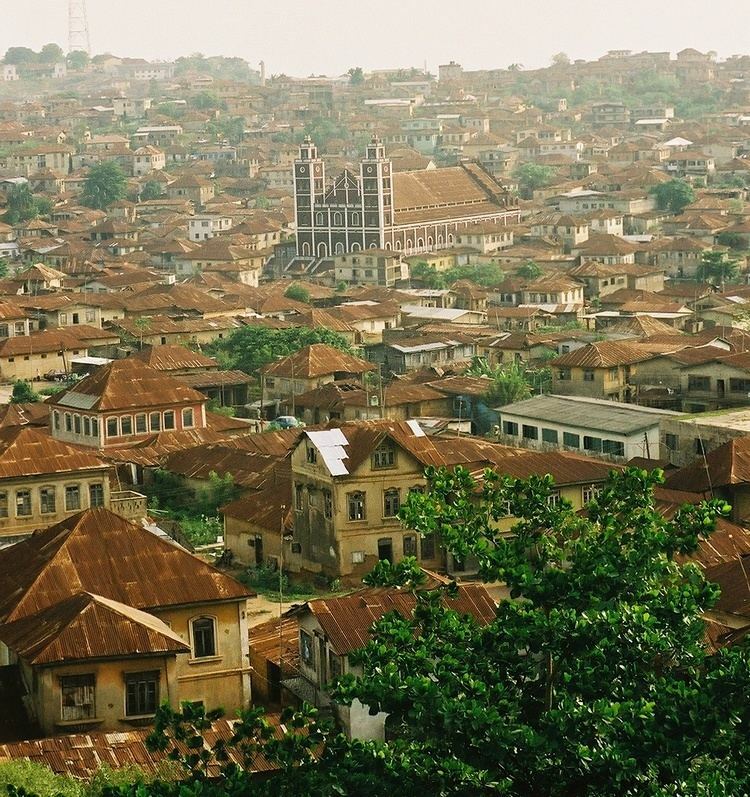 Abeokuta is the largest city and state capital of Ogun State in southwest Nigeria. It is situated on the east bank of the Ogun River, near a group of rocky outcrops in a wooded savanna; 77 kilometres (48 mi) north of Lagos by railway, or 130 kilometres (81 mi) by water. As of 2006, Abeokuta and the surrounding area had a population of 449,088. Sodeke first settled Abeokuta (meaning literally "the underneath of the rock" or indirectly "refuge among rocks") in 1830 as a place of refuge from slavehunters from Dahomey and Ibadan. The village populations scattered over the open country to take refuge among the rocks surrounding the city. Here they formed a free confederacy of many distinct groups, each preserving the traditional customs, religious rites and the names of their original villages. The original settlers of Abeokuta were of the Egba nation, fleeing from the Oyo Empire, which was collapsing. 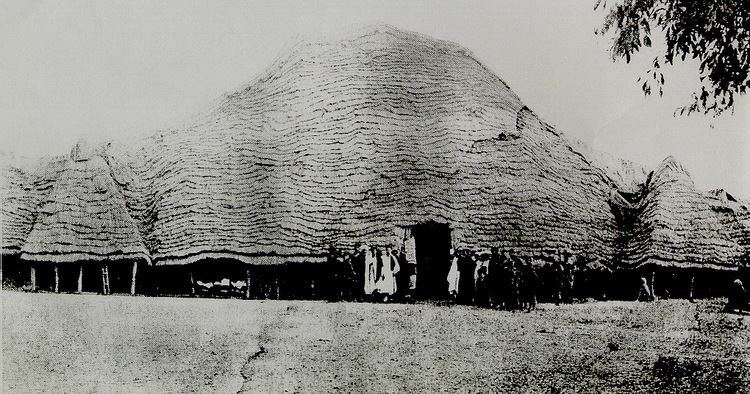 Later, some members of other Yoruba tribes came to the settlement. Baptist and Anglican missionaries from Great Britain began to serve the area in the 1840s, in addition to Sierra Leone Creoles. In 1918, the Abeokuta Riots took place which was related to the levying of taxes and the policy of indirect rule by Lord Frederick Lugard, the British Governor-General. The Abeokuta Women's Revolt, led by the Abeokuta Women’s Union (AWU), took place in the 1940s. It was a resistance movement against the imposition of unfair taxation by the Nigerian colonial government. Abeokuta was a walled town and remnants of the historic wall still exist today. The Ake, the traditional residence of the Alake, along with Centenary Hall (1930). There are secondary and primary schools and the University of Lagos Abeokuta Campus opened in 1984. This campus specializes in science, agriculture, and technology. This has since been changed to an independent full-fledged tertiary institution, Federal University of Agriculture, Abeokuta (UNAAB) in 1988. Madam Tinubu, women's emancipation activist. Wole Soyinka, Nobel Prize-winning author.